1. How long has the hospice been in operation? According to a major consumer publication, hospices with over 20 years of service demonstrate stability and reliability of service. 2. Is the hospice Medicare-certified? If the patient is a Medicare beneficiary and wants to use the hospice benefit, Medicare certification is required to enable costs to be covered. 3. 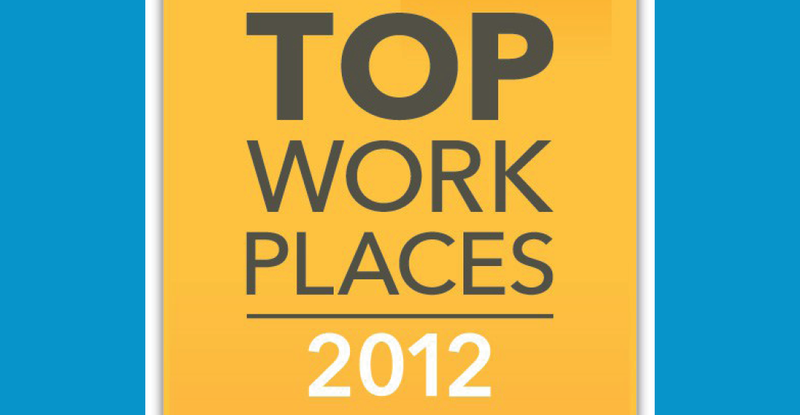 Is the hospice accredited and state-licensed? Hospices with Accreditation (JCAHO or CHAP) have been reviewed by an impartial organization and accreditation indicates they are recommended as having good standards of care. 4. Is the hospice a not-for-profit? Not-for profit hospices offer patient services and support that are not required by Medicare, but are highly valuable to patient care and comfort. Because not-for-profit hospices are first committed to the hospice mission, not to shareholder profit, not-for-profit providers typically spend substantially more on patient care. Not-for-profit hospices are more likely to permit patients to continue with radiation and/or chemotherapy for cancer. If a patient wants to continue to receive these therapies to reduce the size of a tumor and reduce pain, it’s important to know whether the hospice permits such therapies. Not-for-profit hospices also are more likely to provide an array of comfort therapies such as massage, music, art, pet assisted therapies and other non-pharmaceutical interventions that can significantly improve patient quality of life. These alternative, holistic treatments are important as you consider how well a hospice will meet patient needs. 5. Is inpatient hospice care available? Patients receiving care in their own home may develop complicated symptoms and need to have inpatient care to control symptoms or pain. Caring for someone with a serious illness can be exhausting for caregivers, who sometimes fall ill themselves. Some hospices offer “respite” care, enabling the patient to be cared for in an inpatient environment to allow the caregiver a break of up to 5 days. Not every hospice can meet the need for inpatient care. It’s an important option for the comfort of the patient and the caregiver. 6. Are the doctors and nurses certified in palliative care? Specialized study in palliative and hospice care is a demonstration of expertise in addressing the needs of hospice patients. 7. 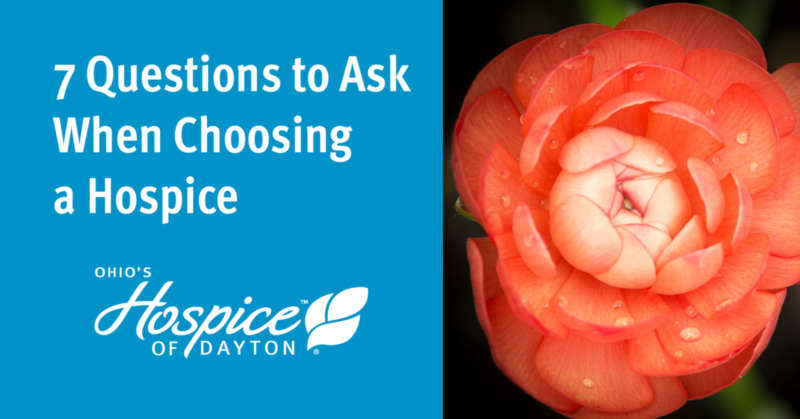 Does the hospice offer grief support services? Grief support services are available at no cost from some hospices, and continue for up to a year following the loss of a loved one. An array of services tailored to address the needs of various family members is a good indication of strong bereavement support for family members left behind. 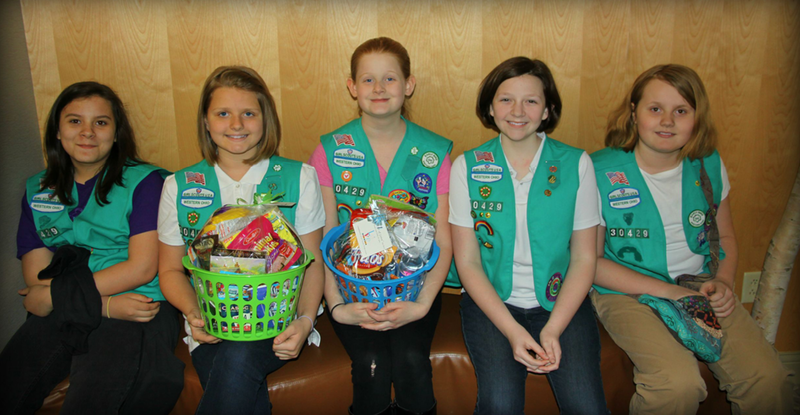 Thank You to Girl Scout Troop 30429! previous post: What is “Normal” When Talking about Grief?